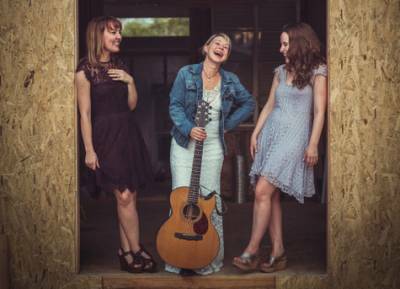 Honey Pig NBD is a trio with fun and impressive 3 part harmonies singing country/folk/pop originals and covers. Debi Derryberry, Nina Herzog and Brenna Larsen are all Los Angeles based singers and voice actors. Debi is best known for the voice of Jimmy Neutron and also Maureen and Phillip on Netflix’s F is for Family. Nina Herzog has sung with Universal Music, and she just had her debut in the world of voiceover as the role of The Swan Princess for Sony Animation. Brenna is recently off the National tour of nikelodeons Peppa Pig Live, she is now back in LA working with VO clients around the world. Also joining the trio is Andrew Russell who is recently off the national Broadway tour of Jersey Boys, and is now an active VO artist here in LA.